The European Federation of Geologists is a non-governmental organisation that was established in 1981 and includes today 24 national association members. EFG is a professional organisation whose main aims are to contribute to a safer and more sustainable use of the natural environment, to protect and inform the public and to promote a more responsible exploitation of natural resources. EFG is the leader of WP2 (Data collection and processing). In this frame EFG will organise workshops and map the practical and scientific hydrogeology knowledge in Europe through its national member associations*. EFG is also involved in all other workpackages. In WP1 (Methodology framework development) it contributes to the inventory of information sources, and the guidance document for groundwater research classification. In WP3 (Research gaps and recommendations) it will take part in the identification of research gaps in hydrogeology and formulation of recommendations to fill these gaps. In WP4 (Dissemination and communication) EFG will help the dissemination through the channels of its member associations. In WP5 (Project management) EFG will assist the management activities of the Coordinator. Isabel Fernandez Fuentes Phd, engineering geologist. Since 1987, she worked as a researcher in applied Geophysics in the Centre for Studies and Experimentation of the Ministry of Public Works, Madrid, Spain. From 2001 onwards, she has been the Executive Director of EFG, covering expertise and professional input including mineral resources and reserves, and environmental protection field. Eva Hartai PhD, geologist, Board Member of the European Federation of Geologists and the Coordinator of the EFG Panel of Experts on Education. 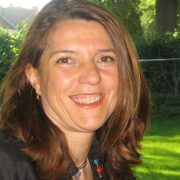 She is the chief editor of the European Geologist Journal, the official paper of EFG. 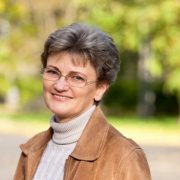 As for her main job, she is an Associate Professor at the Institute of Mineralogy and Geology, University of Miskolc, Hungary. She leads the Educational Section of the Hungarian Geological Society.